Quality Solutions is recognized for its world-class expertise in the design and implementation of balanced scorecards and key performance indicators. Through comprehensive dashboards that display key performance indicators based on the analytics you define, our system helps manage the pulse of your organization’s performance and improve your bottom line. Each system is customized so regardless of the industry or information system, your balanced scorecard system will include the tools to easily monitor what drives performance. Along with financial performance, successful organizations examine predictors of customer satisfaction, operational performance, and organizational development. 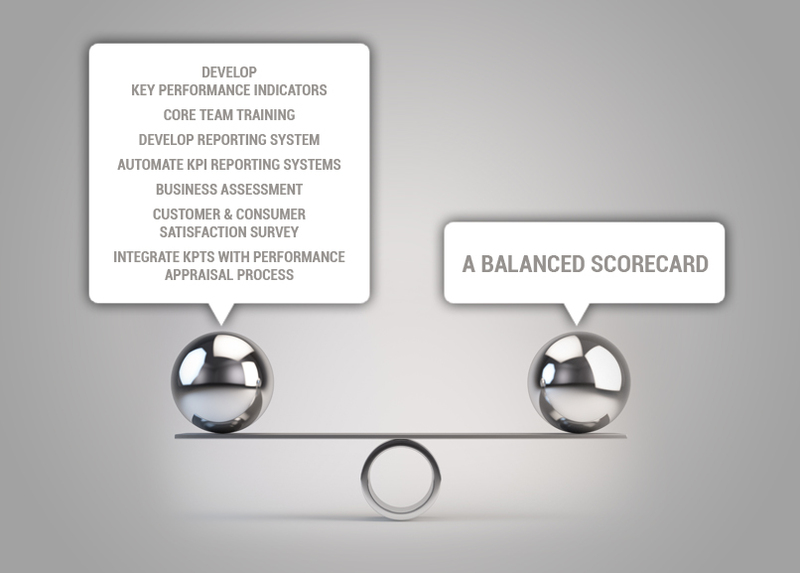 Combined, these represent a balanced scorecard of key performance indicators. Go beyond merely measuring customer satisfaction. Identify and analyze the process along with your customers’ voices to drive higher customer satisfaction, loyalty, sales and profitability.